In 2016 alone, almost 13 million Americans traveled abroad for either business or leisure. And for every trip abroad the average American took in 2016, more than six domestic trips were taken somewhere in the country. Indeed, Americans like to travel so much, the US is actually second on the list of countries whose citizens travel the most, coming in behind the jet-setters of Finland overall, and first for domestic travel. With so much coming and going, the top priority often becomes finding ways to save on all that travel — or at least make it more comfortable. For many, the solution to both problems is the travel rewards credit card. 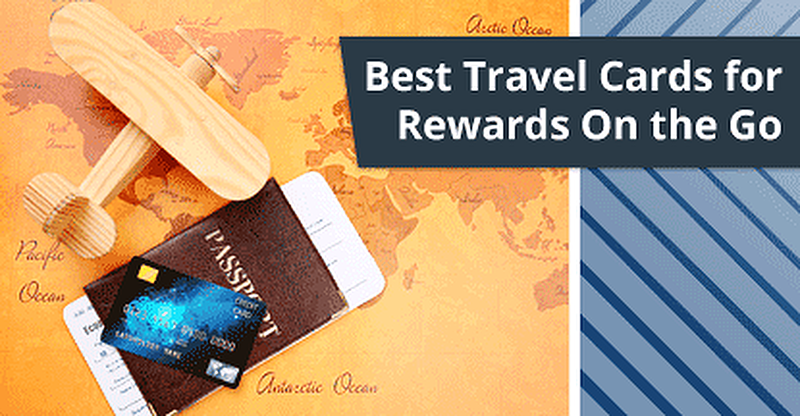 Offering rewards redeemable for flights, hotels, or even cash, travel rewards cards can not only make travel more affordable, but can often make it more enjoyable with other exclusive travel perks such as airport lounge access and personal travel concierges. Started in the 1970s as a way to reward loyal travelers and lure new people into the air, modern frequent-flyer programs have grown beyond the airlines themselves and into the mainstream credit card space. Airlines have paired with traditional credit card issuers, such as Mastercard and American Express, to offer consumers credit cards good on more than just airfare, adding in lucrative rewards to sweeten the deal. With the right credit card and miles rewards program, frequent flyers can easily earn their way to free flights simply by making their normal purchases — especially if they take advantage of sweet signup bonuses. If you haven’t given your heart to a single airline, don’t worry; our top picks also include an option for a miles program that doesn’t discriminate between brands. The Capital One® Venture® Rewards Credit Card credit card is one the most flexible miles card on our list, offering the ability to redeem miles on any airline without blackouts when used toward a statement credit. Or, transfer miles to a qualifying airline loyalty program to combine with your existing frequent flyers miles. With its first passenger flights starting in 1929, Delta Airlines is one of the oldest commercial airlines in the country, and has been offering rewards to loyal travelers for decades. With the Gold Delta SkyMiles® card from American Express, cardholders earn miles on every purchase, meaning you don’t have to be a frequent flyer to earn free flights. The Gold Delta SkyMiles® card also offers a solid signup bonus with an attainable spend, putting you that much closer to your next vacation. American Airlines has been transporting passengers for over 90 years, and the AAdvantage program has been a part of that journey since 1981. Today, the Citi® / AAdvantage® Platinum Select® World Elite™ Mastercard® offers any qualified consumer an easy way to earn free travel. Cardholders can also earn up to 10,000 of their redeemed miles back each year simply by redeeming their points with the 10% redemption rebate. See an in-depth list of pros and cons for the Citi® Platinum Select® Mastercard here to help decide if this card is right for you! The versatile cousins of the miles credit card, points-based programs offer many of the benefits of airline miles — including the ability to be redeemed for free flights — but typically have fewer brand limitations. Additionally, points can often be redeemed for non-travel rewards such as gift cards, unique experiences, and merchandise. The key things to look for when comparing travel rewards cards that offer points are the rate at which you’ll earn points and if any particular categories apply. If you don’t spend a lot eating out, for instance, you may not need one that rewards restaurant purchase. 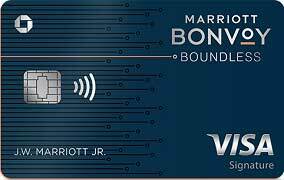 Our favorite points cards for travel have flexible redemption options and quality signup bonuses. While points programs do offer more redemption options than the typical miles card, think about the value of your points when you redeem. In many cases, points are worth more when redeemed for travel, either through the bank’s specific travel portal or by transferring rewards points to an eligible airline or hotel partner. 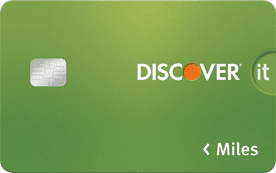 Ubiquitous throughout the US and EU, the EMV credit card, also known as a chip card, uses an integrated circuit to generate single-use codes for each purchase, making them more secure than traditional magnetic stripe cards. While American chip cards are chip-and-signature, meaning purchases are verified with the cardholder’s signature, credit cards in the UK and Europe are chip-and-pin, requiring a four-digit pin for verification. While many EU merchants will accept and be able to process your American chip-and-signature credit card, US cardholders may run into problems at unmanned terminals and kiosks, such as those that dispense train tickets, which may only accept cards with pins. Frequent travelers may prefer to obtain a chip-and-pin credit card to avoid any potential hassles. Our top picks come without any foreign transaction fees, increasing their travel value. In many cases, pin-capable credit cards issued to US cardholders will still default to chip-and-signature verification whenever possible. This means you may be required to provide a signature at some merchants, but should be able to use your pin at automated kiosks and other locations that only accept chip-and-pin verification. High on the list of features that are no-brainers for a sweet travel rewards card are cards that don’t charge an annual fee. Ranging from $30 to well over $500, annual fees not only cut into your potential rewards, including potentially eliminating your signup bonus, but they are often charged right away, immediately eating into your available credit limit. Although annual fees are often associated with the best rewards and perks, you don’t have to sacrifice travel benefits to avoid an annual fee. In addition to providing unlimited rewards on everything you buy, our top picks for this category won’t charge you foreign transaction fees, either, saving you a pretty penny on your overseas purchases. As you compare no-annual-fee cards, be sure to carefully consider the signup bonuses; because there’s no annual fee to bite into your bonus, you’ll really get the full bang for your buck. If you’ll want to avoid interest fees on top of everything else, look for a quality introductory 0% APR offer to round out your travel card. When considering upcoming travel, one of the first things many people think about is the cost of the flight, especially when traveling abroad. However, with the average hotel room going for around $120 a night, your flight may not be the biggest bite to your budget — it might actually be your hotel. For the frequent traveler, brand loyalist, or even casual vacationer, a hotel rewards credit card can offer a lot of tempting perks, including benefits like free in-room wifi. Our favorite hotel cards all come with healthy signup bonuses that will put you well on the path to free stays in no time. Going back almost 100 years, Hilton has served millions of guests and today has more than 540 properties around the world. The Hilton Honors™ Surpass® Card from American Express allows cardholders to enjoy Hilton Honors Gold status when they open an account. Hilton Honors cardholders who spend $40,000 or more in a calendar year can earn Hilton Honors Diamond status through the end of the next calendar year. 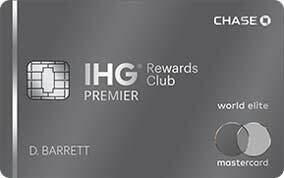 The IHG® Rewards Club Premier Credit Card offers all the usual perks of a midtier co-branded hotel card, including a high rewards rate for branded purchases and complimentary Platinum Elite status. Every year in America, the US Department of State issues literally millions of passports to its citizens for travel abroad. In fact, 2016 alone saw 18,676,547 passports issued, adding to the more than 131 million US passports currently in circulation. To top that, the average American takes more than six domestic trips a year, nearly 80% of which are for leisure purposes. With so many people traveling each year, it’s little wonder cardholders around the country are turning to travel rewards credit cards to make travel easier, cheaper, and more comfortable.